What do people expect from brands today? That's the jumping-off point for the first issue of Perspectives, a new print quarterly from the digital strategists at Day One Agency. 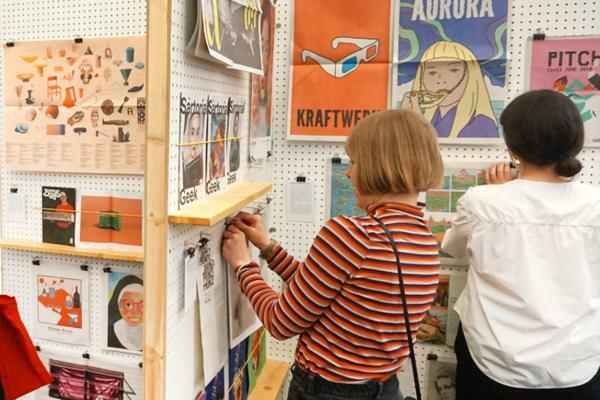 Printed as a digital broadsheet, the newspaper is a roundtable discussion between directors, strategists, and designers at Day One – an exercise that helps the team, split between offices in New York and Los Angeles, explore their work from new angles. The inaugural issue delves into brand values: where they come from and how they're shaping online storytelling. 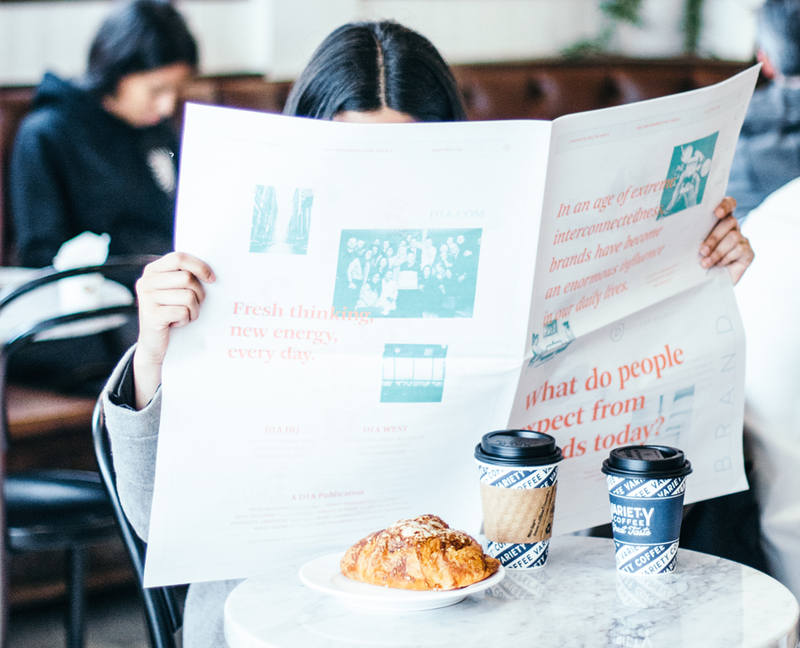 We talked to Molly Valdez, Art Director at Day One, to find out more about their newspaper and what it takes for a brand to stand out in the current landscape. Day One helps brands from American Express to YouTube tell engaging stories. What are the tenants of a great story? Real experiences translated in a way that feels effortless and tangible. So few stories crafted around brands are genuine stories about people, so when there is the basis of a real source, someone who is real and complicated and interesting, people react to that. What's one of the biggest lessons you've learned about creating compelling stories? The human experience is not comprised of perfect stories. To create compelling narratives there need to be imperfections and textures to feel human – this means listening to the people who are the subject of the story and letting them tell you what it means to them. And from there building a narrative and visual language that represents the truth and source of the story, without glossing into a stock solution or emotion. What are some brands that are telling exciting stories right now? Gucci. They’re constantly evolving and one-upping themselves with content that is bizarre and irreverent.To see a brand with that kind of weight not being afraid to flex their brand power and the incredible response they’ve had, I think they’re really changing the landscape where huge corporate brands are being shown just how tired people are of seeing the same type of content. Why did you decide to make a newspaper and how are you using it? With the ever changing political and social climate in the US, brands are being challenged with the question of: what does this mean for us? Where is our place / what do people expect and want from brands? 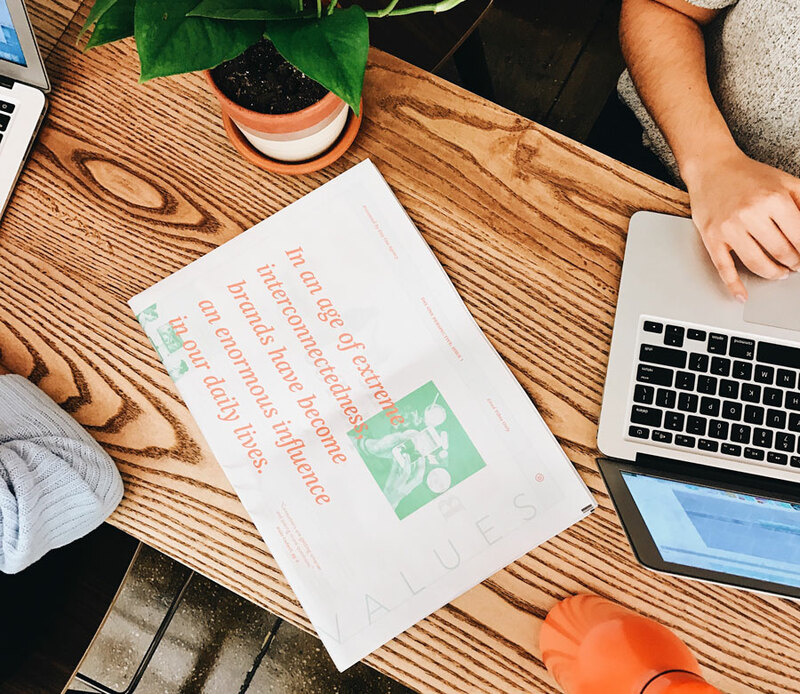 From here, the team at Day One wanted to put together our perspectives as a way of shedding light on potential avenues brands can take. We decided to print it and create an actual newspaper to ladder back up to the idea that these perspectives are being put together by real people. What was the process for putting your newspaper together? What problems did you solve along the way? This project was a quick sprint – from start to finish we had about two weeks to put it together, as we wanted to get it printed by Day One’s three year anniversary. So we had our editorial team writing articles while I was designing out the paper as well, which ended up creating a much more collaborative space to build off each other. 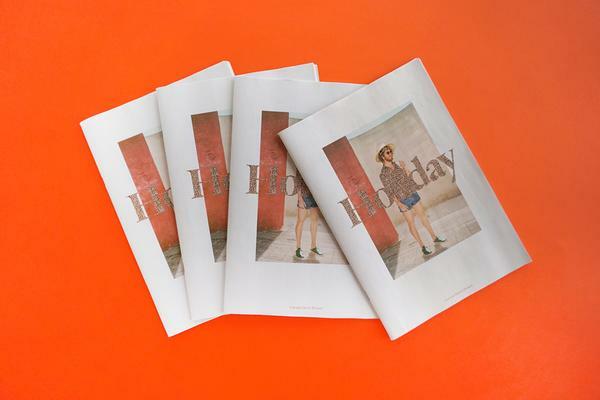 The newspaper was also an opportunity to evolve Day One’s visual brand, including expanding the color palette, new iconography and reinstalling the serif Arnhem front and center. What has the response been to your newspaper so far? Great! It’s been very exciting to send to our clients and contacts around the world. What's next for Day One? Over the last 6 months, the team has begun to create and manage content for our clients' social media channels. Social allows us to translate stories into strategy, visual brand, voice and offers direct opportunities to interact with users – so definitely looking forward to getting to do more of that for clients. Also looking forward to more integrated projects, and seeing new faces as our team grows in both our NYC and LA offices. 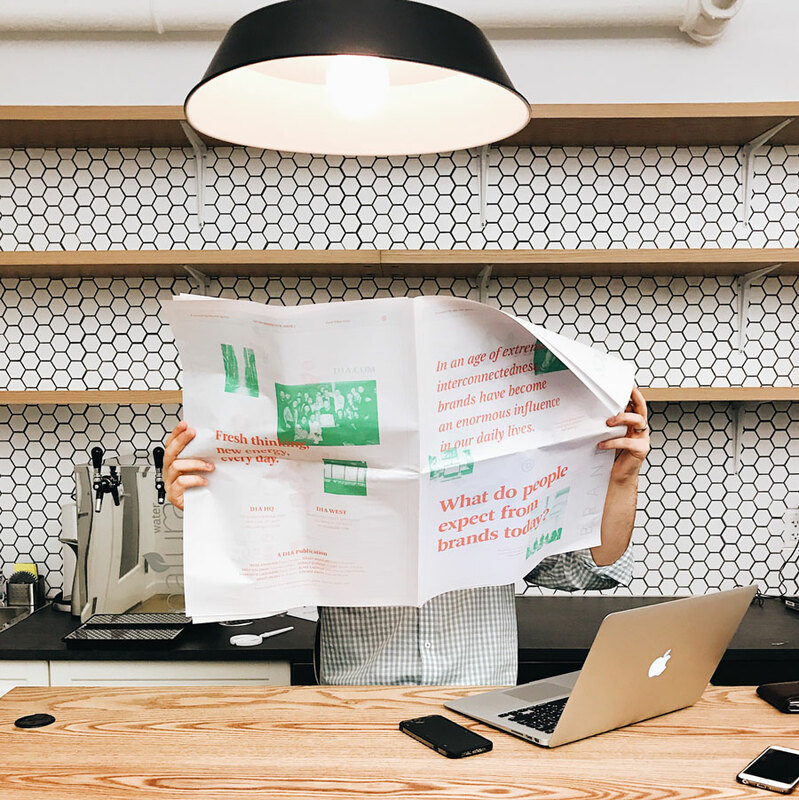 You can read articles from Perspectives, plus more from the Day One team, on Medium. Thanks for chatting with us, Molly! Make a newspaper like Day One: learn more about digital broadsheets. 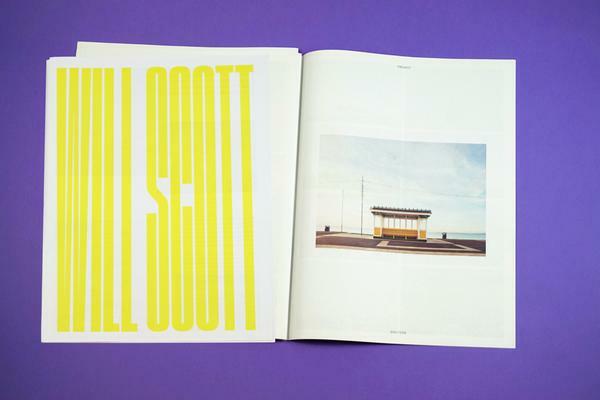 Our biggest format, available in the smallest quantity – just one copy.